As many parents would tell you, when your child is born, you always put them first. 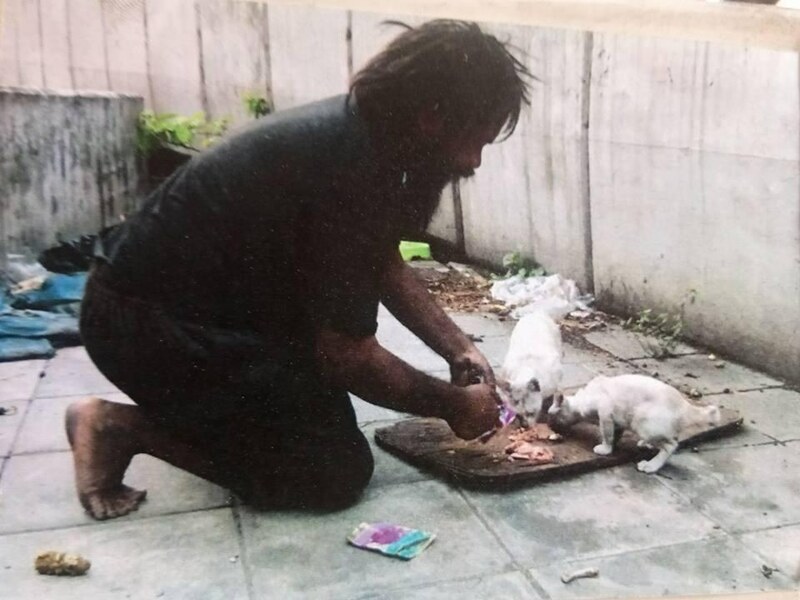 This particular homeless man living in Thailand is putting some stray cats before himself each and every day. 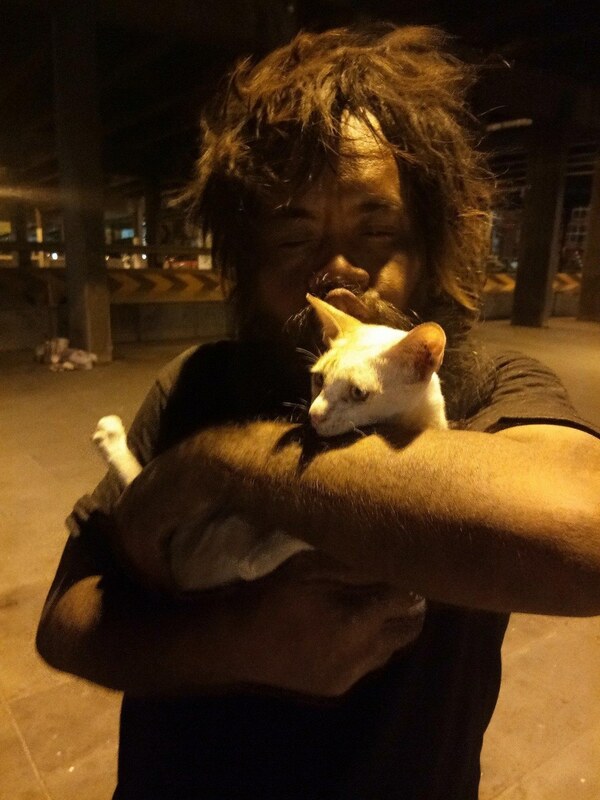 He sells limeson the streets all in an effort to raise money for cat food. The cats always eat before he does. 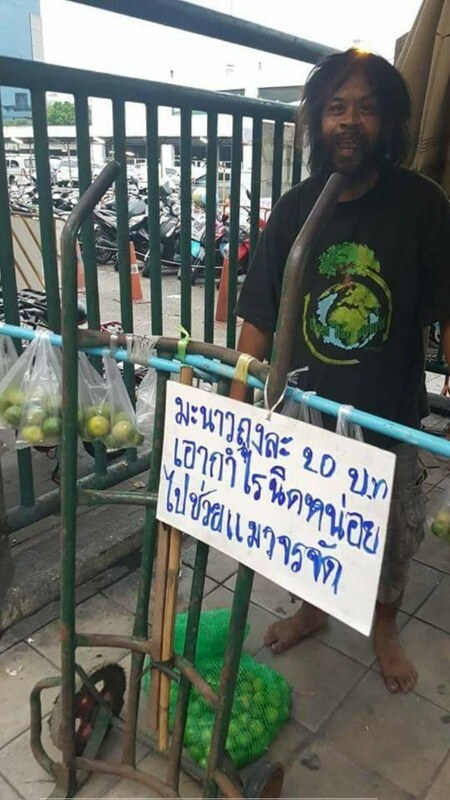 The sign read that all money he earns from what he sells goes to purchasing cat food for the local stray and feral kitties When a woman named Warunya Wattanasupachoke walked past him, she bought some of those limes. 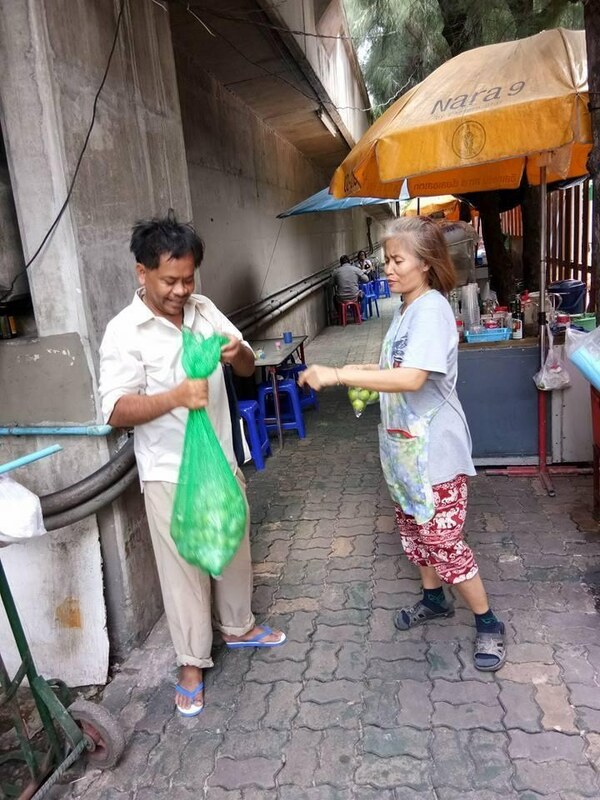 Warunya also learned that the homeless man, whose name is Loong Dum, got the limes to sell from a friendly citizen for free! 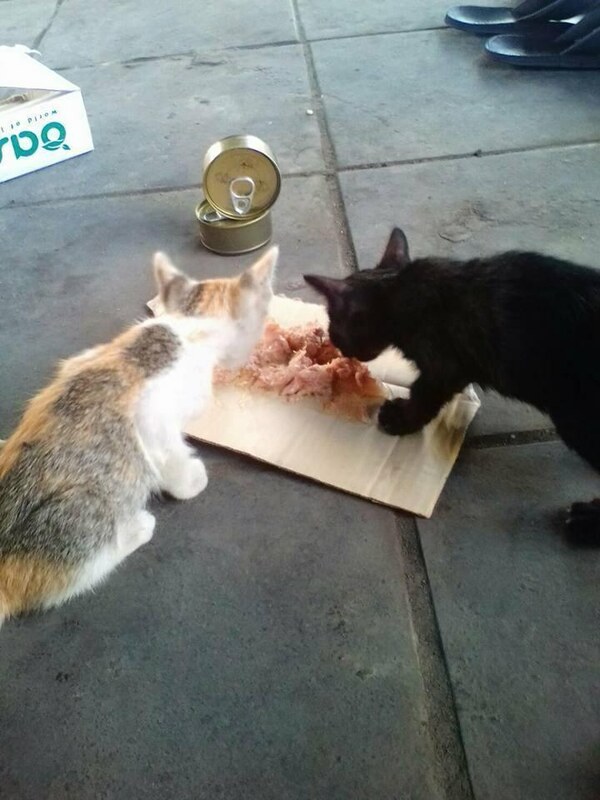 Dum explained that while he is okay skipping a meal – the cats have to eat. 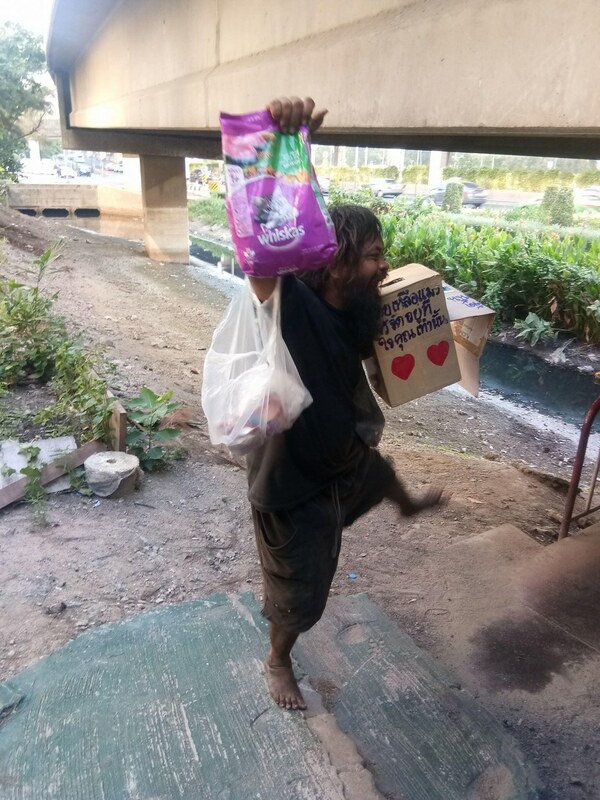 How often do we hear or read about a homeless person being so selfless? 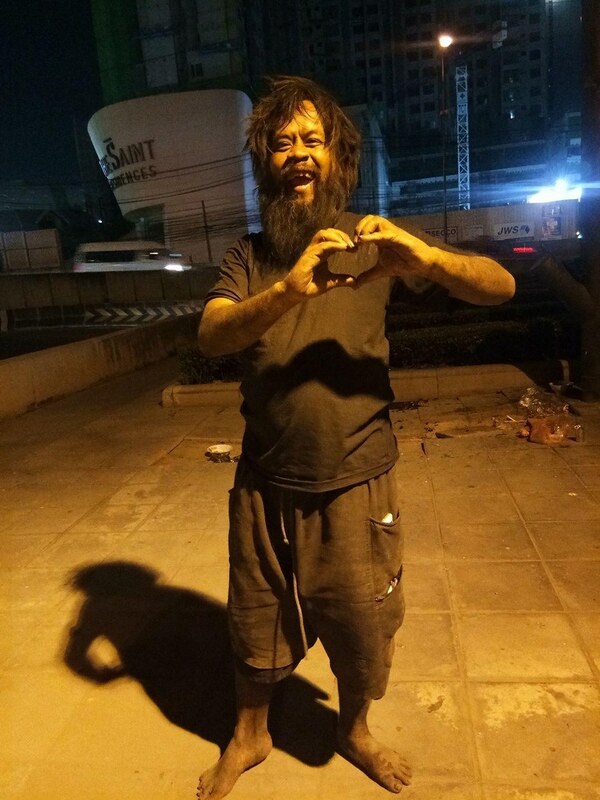 Once word of Dum’s efforts landed on social media, there was an outpouring of support! Many people began to stop by to buy limes, others dropped off cat food and other supplies! 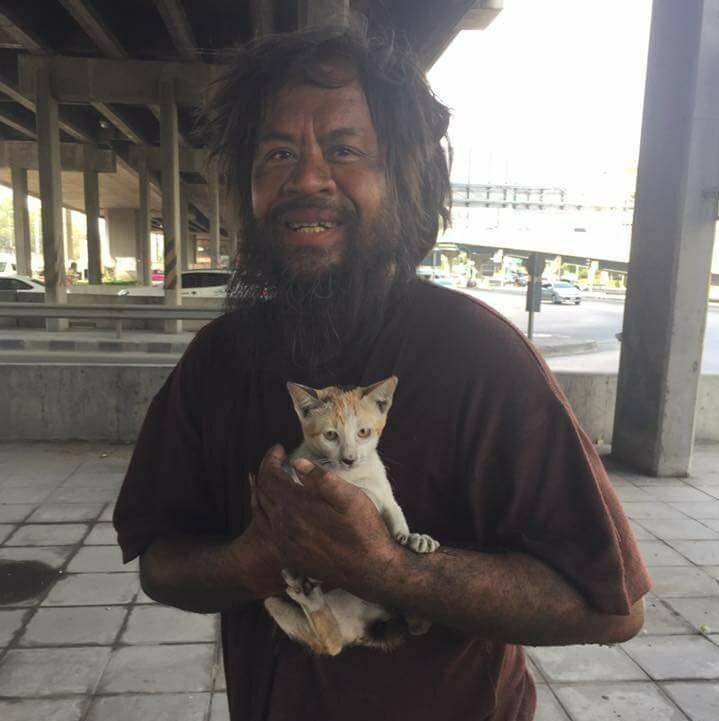 A Facebook page was also set up that shares updates about Dum and his feline family. 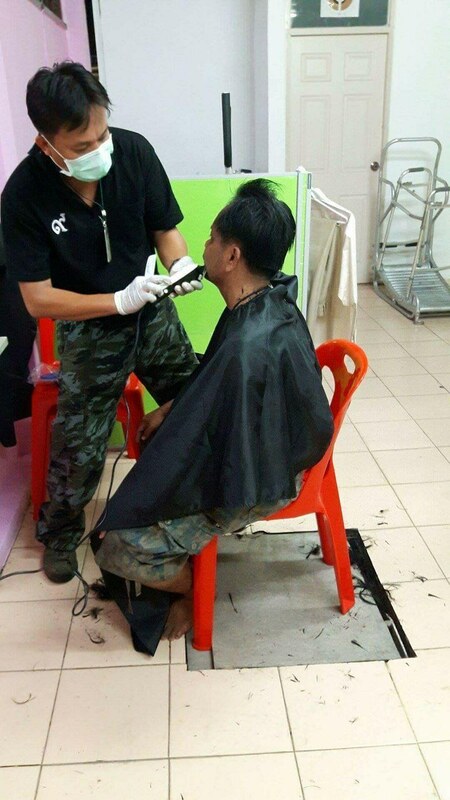 More good news is that even more good Samaritans chipped in and got Dum some brand new clothes and a haircut. Right after he got his makeover, Dum went right back out to sell limes. 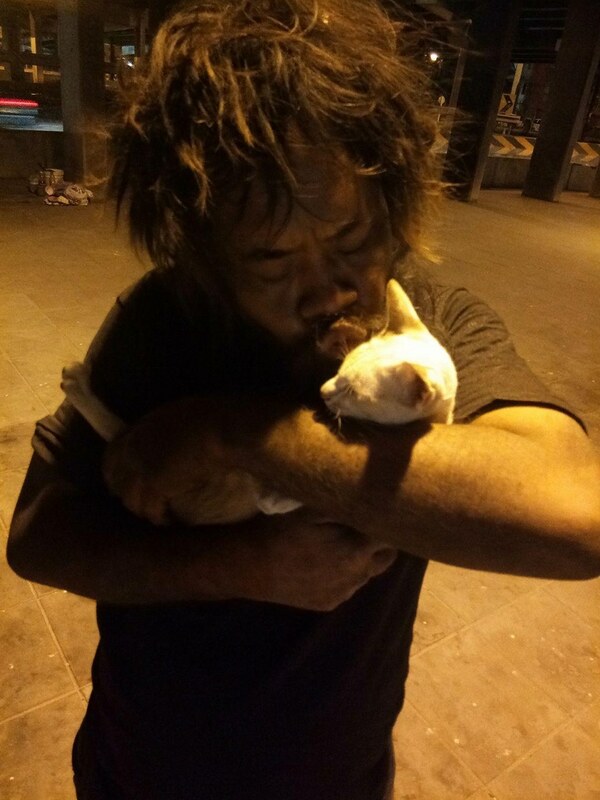 His newfound fame hasn’t changed him – he knows exactly what is important and isn’t going to stop supporting the stray cats who now depend on him!